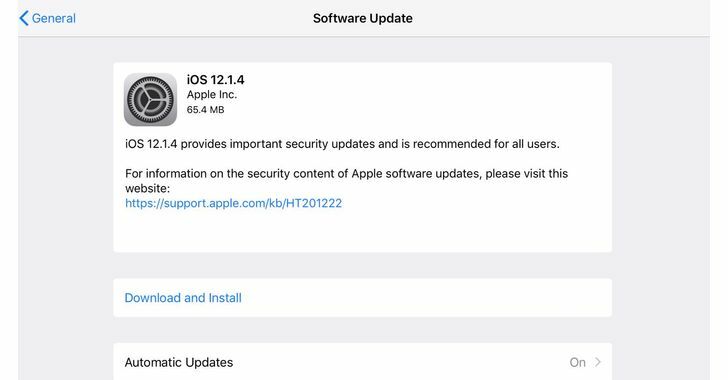 Apple has finally released iOS 12.1.4 software update to patch the terrible that could have allowed an Apple user to call you via the FaceTime video chat service and hear or see you before you even pick up the call without your knowledge. Hey Buddy!, I found this information for you: "Latest iOS 12.1.4 Update Patches 2 Zero-Day and FaceTime Bugs". Here is the website link: https://hacknews.co/vulnerabilities/20190208/latest-ios-12-1-4-update-patches-2-zero-day-and-facetime-bugs.html. Thank you.